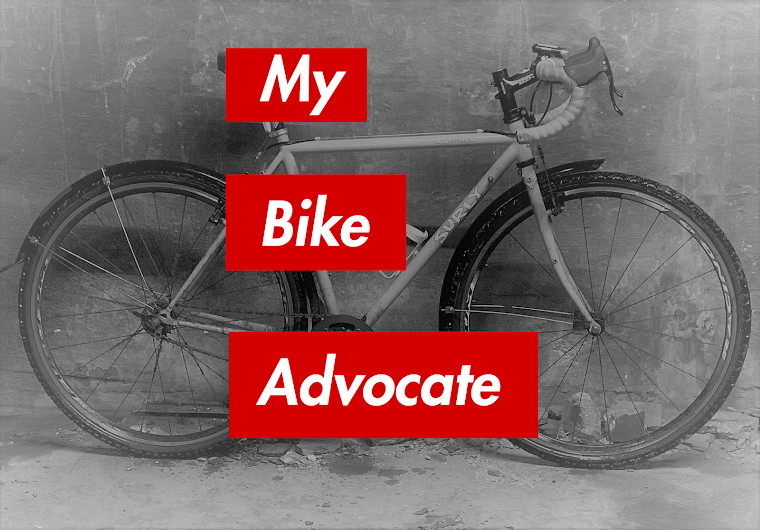 Three bills are presently making their way through the Illinois legislature that would have a positive impact on bicycling in our state. The bills, proposed by the League of Illinois Bicyclists, would allow production of a permanent "Share the Road" Illinois license plate; encourage better education for motorists on sharing the road; and establish penalties for motorists that harass bicyclists. To read more about these important pieces of proposed legislation click here. Tomorrow night from 9 pm to 2 am there will be a Bike For Your Rights Benefit held at the Viaduct Theater, 3111 North Western Avenue in Chicago. Proceeds from the Benefit will go to the Mariel Mentink Medical Fund. There will be bands and bike mechanics offering tune ups to those who bring their bikes. Here are links to the Benefit's page on The Chainlink and on Facebook. Early on New Years day a cyclist named Mariel Mentink was hit from behind on her commute home. The 40mph hit and run collision left Mariel struggling for her life in the Brackenridge ICU. Doctors and nurses are still tending to her broken vertebrae, skull fractures and many other cracked bones and injuries. “So far, she improves a little every day. It is expected that the physical repairs will take six weeks to heal, and will be uncomfortable until then. The back operation that she experienced takes six months for the pain to subside. Brain recovery takes an unknown amount of time; medical science is not advanced enough to predict an outcome. And the outcomes are different for each person.” -Excerpt from Mariel’s Caringbridge Journal. We as Mariel’s friends, and a bicycling community, want to show our support for Mariel and her amazingly strong family. We plan to do this by having an event/fundraiser for her. This event’s purpose is to support Mariel financially and also to help to increase bike safety and driver to bicycle awareness. According to the Benefit's Facebook page there are presently over 300 confirmed guests to attend. Each bicycle shall be equipped with a brake which enables the operator to cause the braked wheels to skid on dry, level, clean pavement; provided, that a fixed gear bicycle is not required to have a separate brake, but an operator of a fixed gear bicycle shall be able to stop the bicycle using the pedals. The portion of D.C.'s law which precedes the semi-colon, reflects existing law in many jurisdictions in the U.S., including Chicago's ordinance dealing with bicycle brakes. As I've noted in the past, this language alone sufficiently accommodates fixed gear riders. Even the added clarification to the D.C. law acknowledges this. The code states that fixed gear riders need not have a "separate brake," evidencing the authors' recognition that fixed gear bikes already have one brake in the form of the fixed gear drive train itself. However, the added language is undoubtedly a helpful clarification for law enforcement officers and judges who may be unfamiliar with how bicyclists who operate a fixed rear hub may bring their bikes to a halt. If any readers are aware of any other jurisdictions that explicitly permit fixed gear braking I would certainly appreciate a heads-up. On January 21, 2010 a bill was introduced in the Illinois Senate that would require all children under the age of 16 to wear helmets while bicycling. Senate Bill 2627, were it to become law, would also require bicycle passengers weighing less than 40 pounds to travel in a bicycle safety seat. The law would make it unlawful for the parent or legal guardian "of a person below the age of 12 to permit the person to operate or be a passenger on a bicycle in violation" of either of these requirements. A person in violation of the law would be subject to a penalty "not exceeding $2". The bill was introduced by Senator Ira I. Silverstein (D) of Springfield, Illinois who has four children of his own. I'm all for this. A lot of parents today already require their children to wear helmets when bicycling. More than anything, this law would help compel everyone else to get on board with what seems to me to be a no-brainer. Let me anticipate commentary to this post by noting that simply strapping a helmet on your child is not enough. Children should be taught proper cycling technique and how to anticipate and avoid dangerous situations. A few weeks ago an Ohio group, Consider Biking, successfully defended a bicyclist's right to take the lane. The defendant was cited by a Columbus police officer for riding in the middle of a lane of traffic rather than along the far right side of the roadway. The relevant local ordinance stated, “Every person operating a bicycle upon the roadway shall ride as near to the right side of the roadway as practicable…." (2173.04). However, the attorneys defending the cyclist at trial emphasized the exceptions to the rule set forth in the statute which allowed cyclists to take the full lane when doing so offer the safer course. Though the case sets no legal precedent outside of Columbus, it is, in my opinion, an important result nonetheless. Many American cities, Chicago included, have similar ordinances. Spreading word of how that case was handled and won will hopefully spread the message to law enforcement and to bicyclists that taking the lane is not only permitted, but advisable, necessary and legal under certain circumstances.